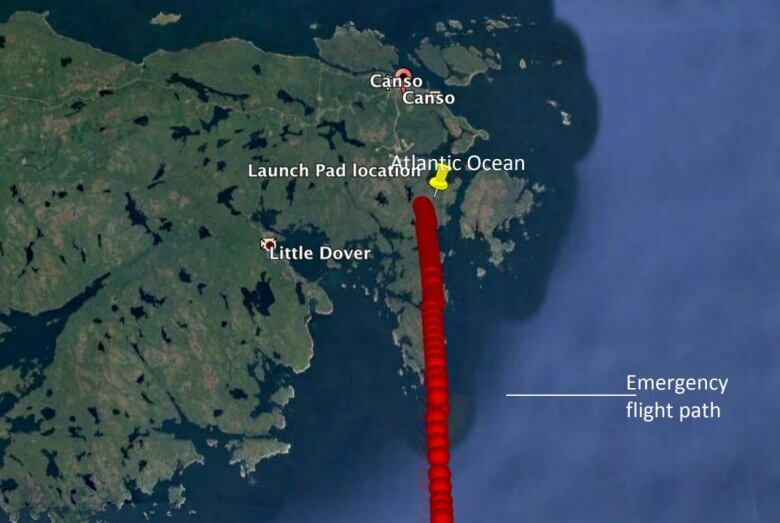 Maritime Launch Services says a launch failure early in flight could blow a 10-metre-deep crater in the granite near Canso, N.S. Launch failure early in flight could blow a 10-metre-deep crater in the granite near Canso, N.S. The president of the company behind a proposed rocket-launching facility near Canso, N.S., says even in the worst-case scenarios of explosions, fires or spills, the public and environment will be safe. Steve Matier of Maritime Launch Services (MLS) made the comments after the company filed a new report saying a launch failure could blow a crater 10 metres deep into the granite at the site. "We firmly believe we have the knowledge, skills and best practices to safely operate our facility and protect the public and environment," he wrote in an email to CBC News. Matier declined to be interviewed. The company submitted its focus report to the Environment Department on March 11 to answer questions about the project. In August, Environment Minister Margaret Miller said she couldn't decide whether to approve the project because she needed more information to understand the potential for adverse effects. The project would see one rocket launched in the first year, 2021, with a maximum of eight per year after that. The proposed launch site is in a sparsely populated area at the far tip of the Eastern Shore — a site chosen by the company for its distance from large populations of people. The closest residence to the launch complex is more than three kilometres away. Among the most dire situations would be a launch failure at ground zero, which would spew debris within a 500-metre radius, burn all the vegetation and soil in the immediate vicinity of the launch pad and potentially cause secondary explosions and fires. If the launch vehicle failed during early flight — within the first 70 seconds after liftoff — the control system would terminate the engine. That would mean the launch vehicle would hit the Earth as a single unit, creating a large crater up to 10 metres deep. If the engine was shut down between 70 and 140 seconds after liftoff, the first and second stages would hit the Earth separately, potentially creating craters up to seven metres deep. If the launch vehicles fell into water within 70 seconds of liftoff, the propellants would mix and explode, potentially killing fish within 200 metres of the epicentre. 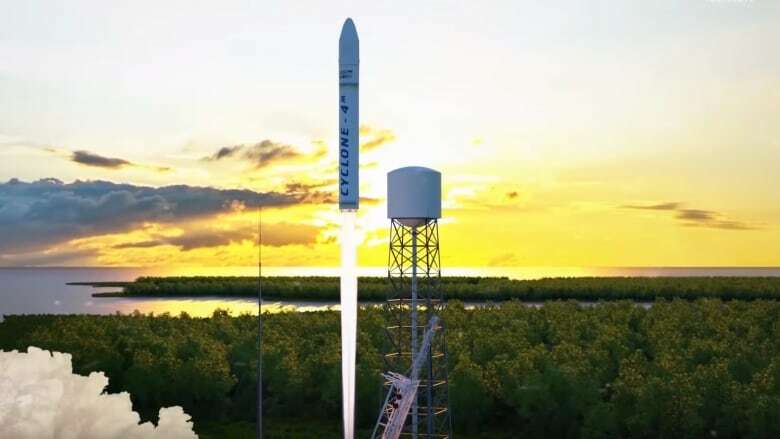 The company said if a failure did happen in the first stage of the launch, there is a 99.7 per cent chance that the launch vehicle would fall into the Atlantic Ocean due south of the site. The use of hydrazines, chemicals that would be used as rocket propellants at the site, was among the chief concerns of the Environment Department. Hydrazines are classified as probable human carcinogens by the U.S. Environmental Protection Agency. Exposure to high vapour concentrations can cause convulsions or death, the MLS report notes, while repeated exposure to lower concentrations can damage the liver and kidneys. Many spaceports around the world use hydrazines, including those in the U.S., China, Japan and Russia, and the chemical is also used at power generating plants, including some in Canada. However, both NASA and the European Space Agency are seeking "green" propellants as alternatives to hydrazine. Hydrazine is considered to biodegrade quickly, the report notes, adding that in the ocean, the concentration of one such chemical, UDMH, would be reduced by half within one to two hours. In soil, hydrazine fuel has low persistence, the report says, with low concentrations decomposing almost completely within 10 days and high concentrations decomposing within 60 days. However, those concentrations do significantly decrease the number of micro-organisms in the soil. Spills, fires or explosions of liquid propellants can release contaminants into the air, but MLS's report notes that NASA says the chemicals are diluted to "non-hazardous levels in reasonably short distances." MLS says it will follow the lead of NASA, considered the "gold standard" for guidance on hydrazine use. 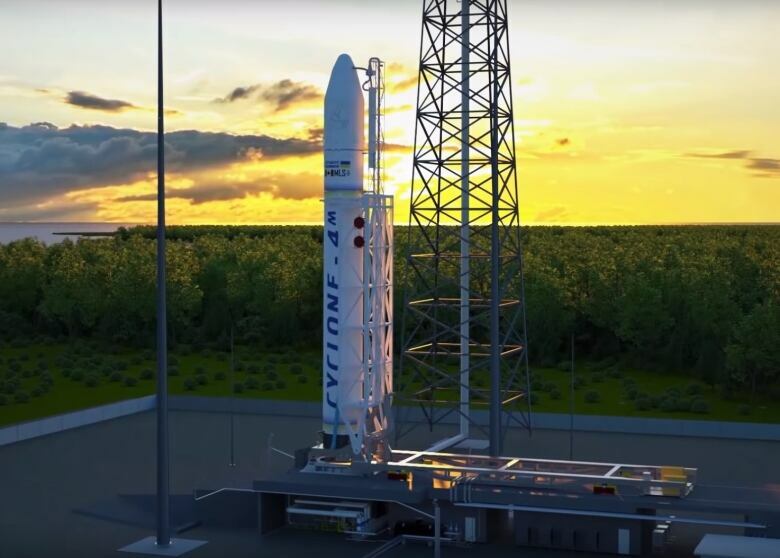 The company's report says an environmental assessment by NASA found that the use of hydrazine did not contribute substantial environmental impacts, even in a launch accident. Matier said MLS has gone to "great lengths" to respond to the province's questions and has based its report on industry data collected over decades. "What you will find in the Focus Report is that even in the worst-case conditions, the public and the environment are protected, the residuals are manageable and not long lasting and our planned monitoring programs are robust," he wrote. The company has yet to submit its environmental protection plan and spill contingency plan and is working on developing a risk assessment for each potential scenario. 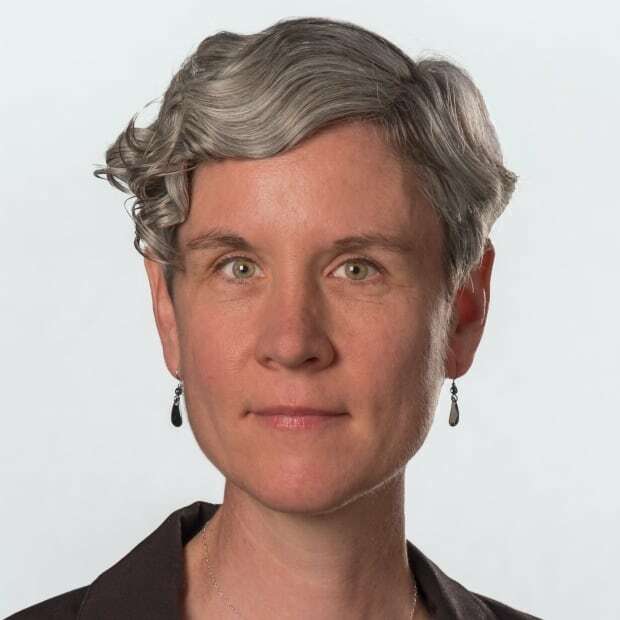 "This is done not because there is a high probability of an event occurring, but because you plan, design, train and prepare for the potential," Matier's statement said. "Our core principle is to do it safely, first." People can submit comments on the report until April 19. After that, the Environment Department will have 25 days to make a recommendation to the minister.